There have been a number of "Kent Leagues" over the years. The most recent incarnation originated as the Kent Premier League in 1966, changing name to the Kent league two years later. The league currently (as of 2018-19) consists of two divisions, at Step 5 and 6 in the National League System. Hythe Town reached the first round proper of the F.A. Cup in 2010-11, the only Kent League since two teams from the old Kent League did so in 1958-59. Previously the best F.A. Cup performances had been Fourth Round Qualifying appearances from Herne Bay (1986-87) and Tonbridge (1991-92). 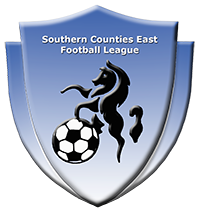 The league chaged name to the Southern Counties East League in 2013. A Second Division was added on 1978, primarily for reserve teams although a few first teams did appear in the division from time to time. In 1998, the Divisions were renamed. Division One became the Premier Division, while Division Two became the new Division One. The lower divisions were re-structured into Divisions One and Two in 2003. In 2016, the league absorbed the Kent Invicta League and a two-division format was establshed. The F.C.H.D. does not the complete final table information for this league. Tables from 1972-73 are available (from contemporary sources), but those for before that date have not been found, and the same goes for a number of the lower division tables. Even the Kent League does not have the tables. Of those we do have, a number do not balance, mainly in terms of goals for/against totals. All missing tables are highlighted in blue above.